Cristina Montes-Monteo — Laguna Beach Live! Winner of the unanimously 1 st Prize in the XII Edition of the “Torneo Internazionale di Musica” (Rome, 2006) and the unanimously 1 st Prize in the International Harp Competition “V. 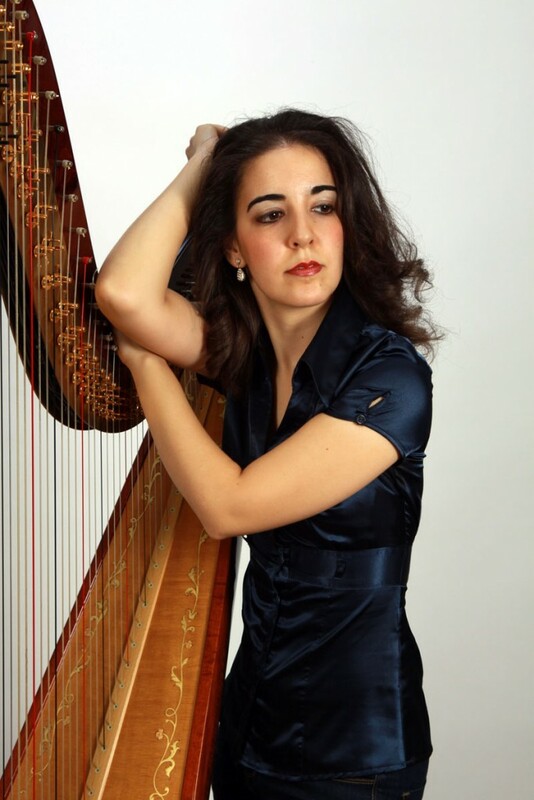 Bucchi” (2009), Cristina Montes Mateo is recognized as one of the leading harpists of her generation throughout the world. She has also won top international prizes at the “Arpista Ludovico” International Harp Competition (2005), the “International Nippon Harp Contest” (2007), and the Concours International de Harpe “Lily Laskine” in Paris (2011); as well as numerous national harp solo competitions like the “Jeunesses Musicales” Competition (2003) or “Victor Salvi” Special Prize at the “Arpa Plus” Contest (2001). She follows an intensive career as a soloist with a great success around the world. She usually appears with major orchestras like the Ensemble Orchestral de Paris, Philharmonic Orchestra of Málaga, Francisco de Miranda Orchestra in Venezuela, Orchestra of the Theatre für Niedersachsen Hannover in Germany, or the Santiago de Chile Orchestra; under the direction of B. Haitink, Sir Colin Davis, G. Prêtre, P. Boulez, or D. Barenboim. She performs at many world leading festivals like “Les Flâneries Musicales de Reims” (France, 2010), the “7th International Harp Festival” in Rio de Janeiro (Brasil, 2012), or her most recent success at the Royal Palace in Madrid (Spain, 2015), in a concert offered for the Kings of Spain and the President of the United Nations, Mr Ban Ki-moon, and broadcasted for the National Television. A sought-after teacher, she is also head of Harp Department at the Conservatorio Superior de Música “Joaquín Rodrigo” of Valencia (Spain). She has also given Master classes at renowned institutions, including Berklee College of Music (2014, 2015, 2016), the Birmingham Conservatoire (2015), or the Musikhochschule für Musik und Tanz in Cologne (2016). In the words of Lorin Maazel (2009), “... she is a virtuoso harpist and extremely musical...”, in the Daniel Barenboim’s words (2009), “... I consider her playing to be of a very high technical level and to be a very fine musician. I am delighted...”, or in Plácido Domingo's words (2016), "... I have met and heard thousands of musicians but I can highlight only one of them in the harp world: Cristina Montes Mateo."